The wife and I did say that someone will get it before we reveal the answer. And that honor goes to ...WJ! Congratulations WJ - although there's no prize for your correct answer but you do earn the bragging rights for knowing your local residential projects! 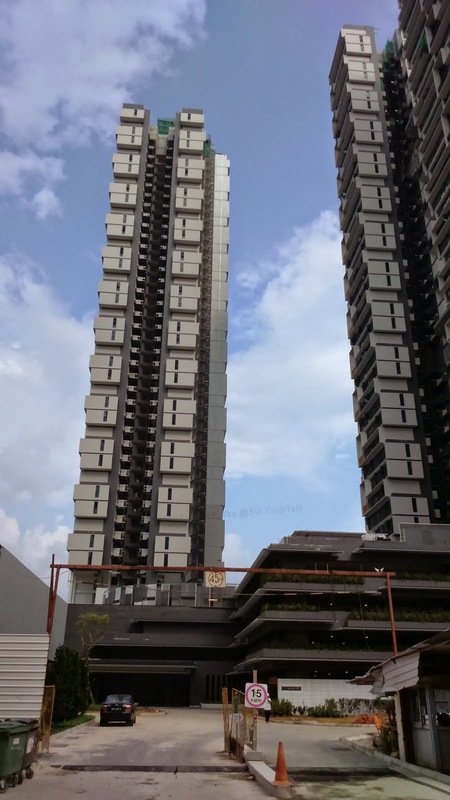 And for the benefits of those who are not yet familiar with Sky Terrace @Dawson, this is actually a HDB Build-To-Order (BTO) project that is scheduled to be completed in 2015. It is one of the three large projects planned for the area and designed by some of the most talented local architects. Sky Terrace @Dawson comprises 5 towers ranging from 40 to 43 stories, which sit on top of a parking podium. 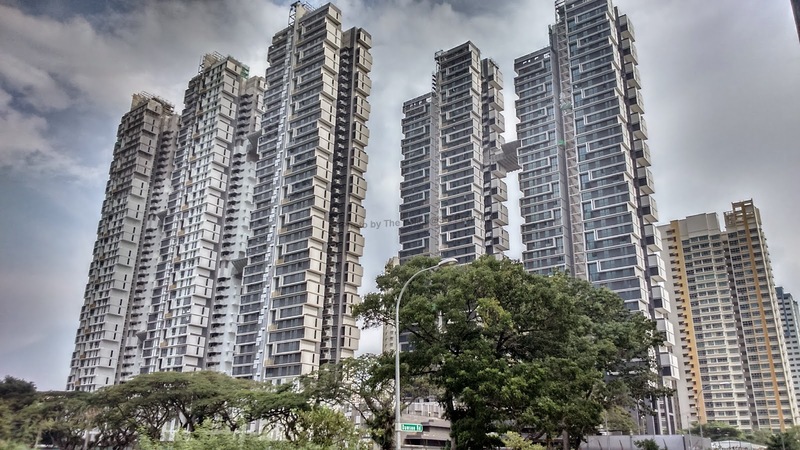 The project offers landscaped spaces flowing over the podium and terraces with lush tropical plants that connect the towers at various heights (what the private developers usually termed as "sky terraces"), offering elevated gardens to residents. A unique feature of Sky Terrace @Dawson is that SCDA Architect (the designer for this project) has incorporated several studio apartments that attach to larger duplexes, so aging parents can live next to their children. The project is also unique in its construction method - each apartment was fabricated off-site as a set of modules, then hoist in place. The environmentally friendly project also comes with features to harvest rainwater, provides drip irrigation for plantings, filters water in bio-retention basins and generates energy with rooftop solar arrays. And its design uses natural ventilation and sun shading to keep apartments cool without air-conditioning. 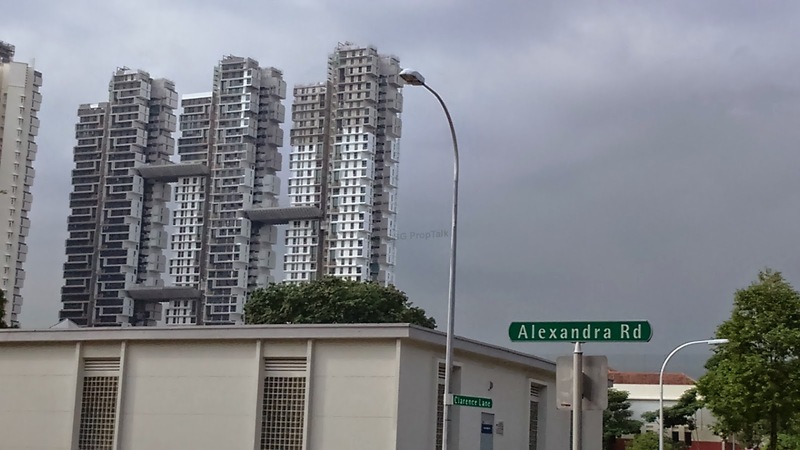 When Sky Terrace @Dawson was launched sometime back in 2010 (we think), prices for the studio units were around $225,000 and the largest units were going for about $520,000. 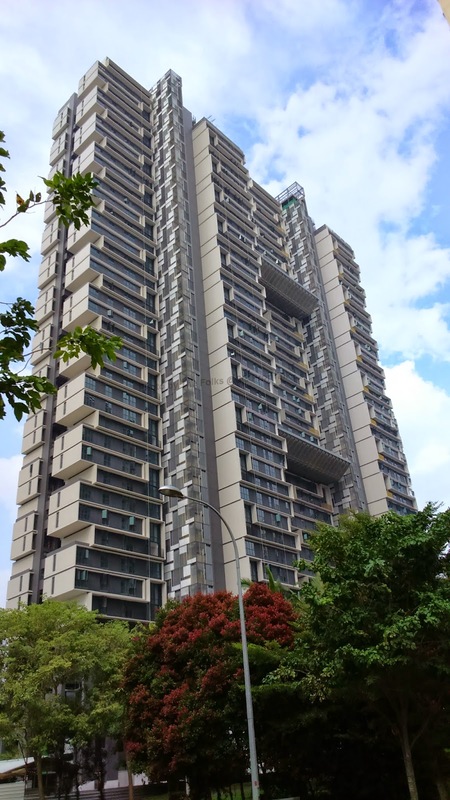 Even before its completion, the project is already slated to be another "more-than-a-million-dollar-a-unit" resale project (after Pinnacle @Duxton) when owners are finally allowed to resell their flats. No Comment to " And the answer to our Friday Quizzer is... "